A family grown business since last 30 years in the heart of the Textile city, Surat. We have our very own dying, processing, manufacturing and a stitching unit which brings the cost of products to reasonable price without compromising in quality. We Export in more than 15 countries and are expanding our network day by day. We welcome all the interested business people, agencies, distributors and wholesalers to come and give us a chance to do business with you. Our products are of the highest-quality and are offered to all of our clients at amazing prices that can’t be beaten. By choosing to work with Divyam Export you cut out the middle man and get the products you need right when you need them. Let us know whether you’re looking to purchase products for your home or office and we’ll happily advise you on what will best suit your needs and requirements. We have vast range of cushion covers with all in house process carried by industry specialists. Major product: Embroidery cushion cover all size and variety available. Wide range of elite embroidery fabrics and designs. Collection of embroidery fabrics, plain fabrics, natural fabrics, dyeable fabrics. Embroidery concepts like: Sequins, multi colour, chain stitch, coding, etc. UDHANA DARWAJA, RING ROAD, SURAT-395002. Inquiry We offer high quality of Silk Scarves Exporter, Super efficient digital print machine we have equipped with AZO FREE colors, All customized prints are possible as per the client specifications of clients. Inquiry We are highly acknowledged organization in the domain engaged in offering high quality range of Embroidery Fabric. The offered embroidery fabric is woven as per the latest market trends using best grade thread and other related material under the supervision of deft designers. The offered fabric is available in several shades, sizes and colors in order to meet the diverse requirements of the clients. Our offered fabric is extremely demanded, appreciated and recommended by our valued clients. 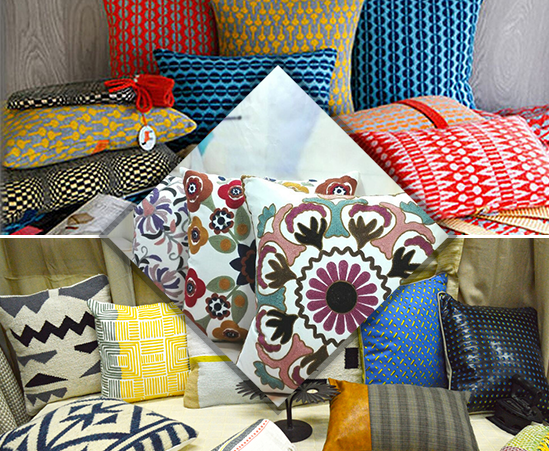 Inquiry We are considered as one of the most remarkable and renowned manufacturer & exporter of Cotton Cushions. We offered high quality thread work multi colour embroidery done on a premium quality fabric. We manufacture top notch export quality cushions which are lab tests approved. We offered classic and contemporary floral design. Being the leading names in the industry, we export and supply our clients an attractively designed range of Woven Cushions that are fabricated using quality approved fabric and advanced technologies. High quality embroidery done on premium fabric used for decoration of home and office space.Multi color thread used for embroidery on a classic and contemporary floral design. Inquiry We are proficiently engaged in manufacturing and supplying a superlative quality collection of Woven Cushions. Clients can avail these woven cushions from us in various sizes and shapes as per their requirements. High quality raw material used to produce best quality cushion covers at a very economical range. Inquiry Our company excel in the manufacturing of Woven Cushion Cover. Woven Cushion Cover is beautifully designed at our premises with the help of quality tested material and modish technology in compliance with the preset industry guidelines and norms. Inquiry We are regarded as an established manufacturer and exporter of Woven Cushion. Woven Cushion is beautifully designed at our premises with the help of quality tested material and modish technology in compliance with the preset industry guidelines and norms.